This was the deep retrofit of a post and beam timber house owned by the Municipality of Qeqqatta. It is a typical wooden building standing on concrete foundations, with minimal internal insulation. 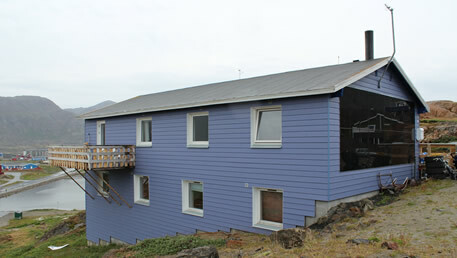 The Pilot retrofit consisted in the external cladding of the house with cellulose insulation, with an aluminium envelope. The results of this retrofit are being monitored during the life of the house.